Chia seeds can be used in many different ways. They are rich in antioxidants, proteins, fibre, vitamins, and mineral nutrients, and they have a high content of Omega-3 fatty acids. ZIELER & CO. stocks chia seed in controlled organic quality from South America. The chia plant („Salvia hispanica“) is originally from Mexico and Guatemala, nowadays it is also cultivated in South America. 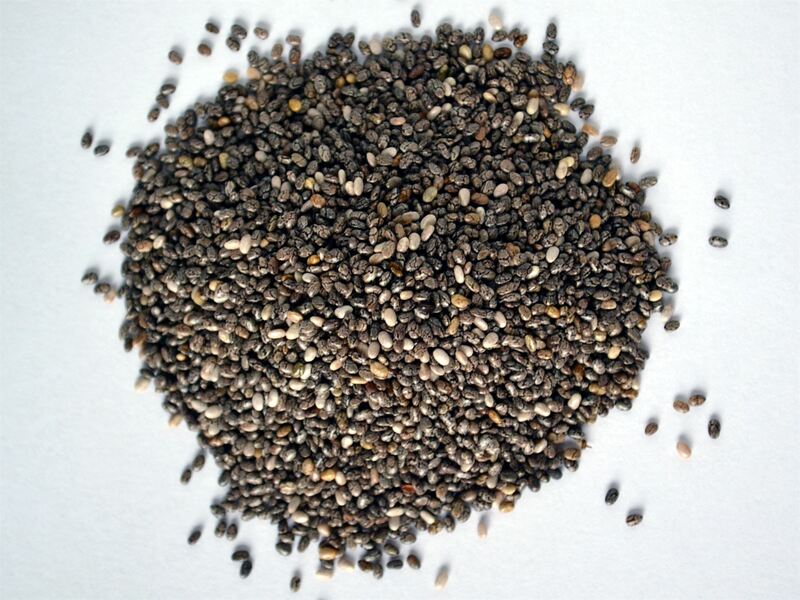 The seeds of the chia plant can be used without preparation or used as thickener e.g. In sauces. Soaked in water, the seeds build a jelly-like polysaccharide layer, with a digestive effect similar to linseed. The chia seeds mainly contain chia oil, proteins, carbon hydrates, the vitamins A, niacin, thiamine, riboflavin, and folic acid. And there’s more: mineral nutrients (calcium, phosphorus, potassium, zinc and copper) and antioxidants. Completed is this mix by fibres part of which jellify in water. Chia oil contains a-linolenic acid, and the total fat content shows a healthy mix of 55% Omega-3, 18% Omega-6, 6% Omega-0 and 10% saturated fatty acids. Chia seeds are comparatively low in sodium.